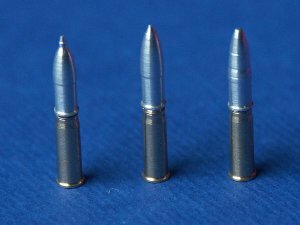 - standard high-explosive round (HE) Sprgr.Patr.34. 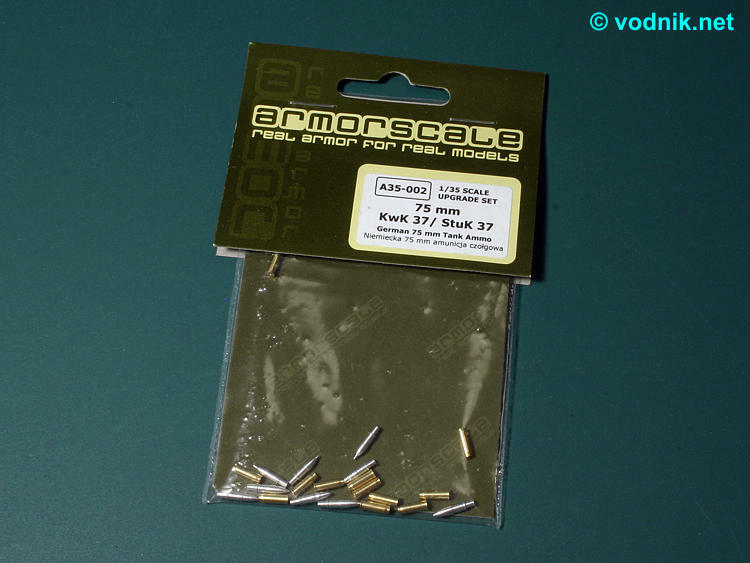 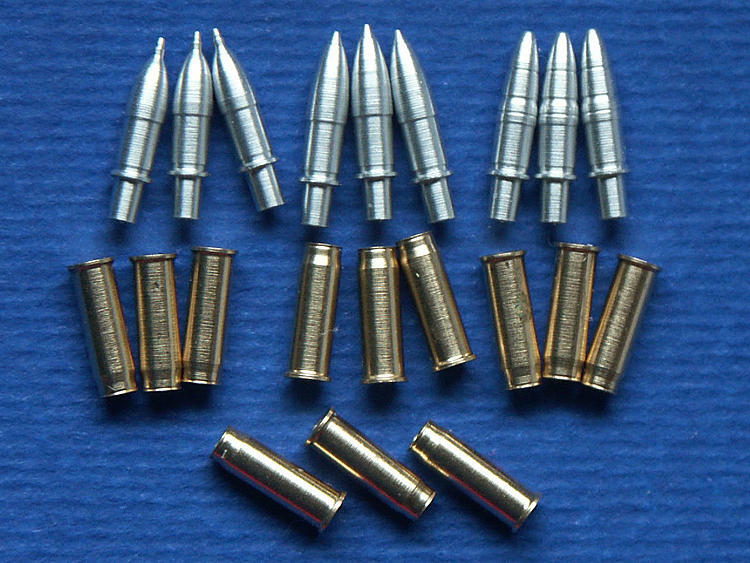 The set comes in a small plastic zip-bag containing a piece of cardboard, small instruction sheet and all ammo parts. 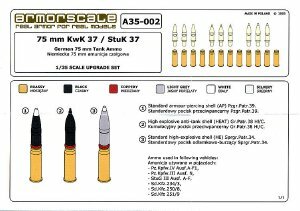 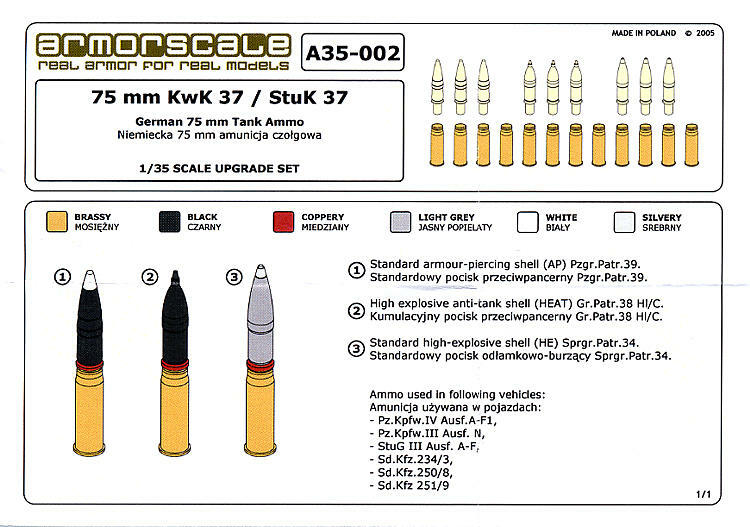 Instruction sheet includes painting information for all three types of ammunitions and identifies included ammo types. 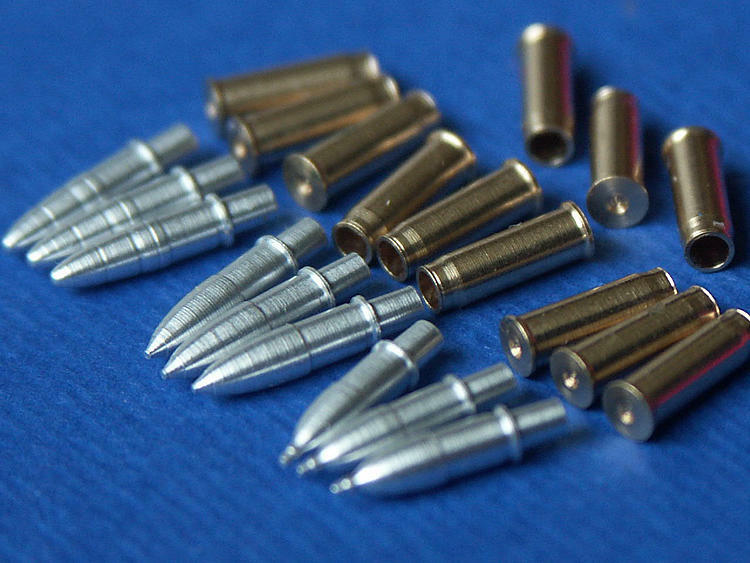 Parts are precisely machined with very tiny details reproduced nicely. 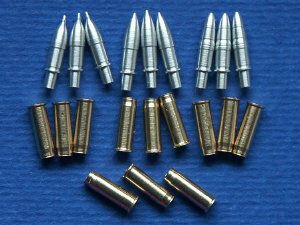 The fit of aluminum projectiles to brass shells is good, but tightens when parts are pushed together and it is actually not possible to push the round all the way into the shell without using considerable force. This means that it is rather one time assembly, as once properly assembled these parts would be difficult to separate.